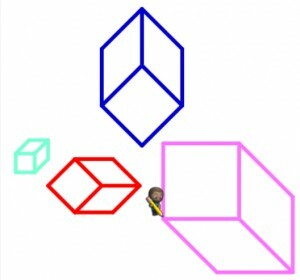 Computational Geometry starts with graphics and motion. What my grandkids love – Geometry Dash. 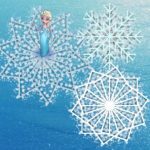 I absolutely love code.org/frozen puzzles to put into action graphics and motion. Snowflakes are unique like every student. 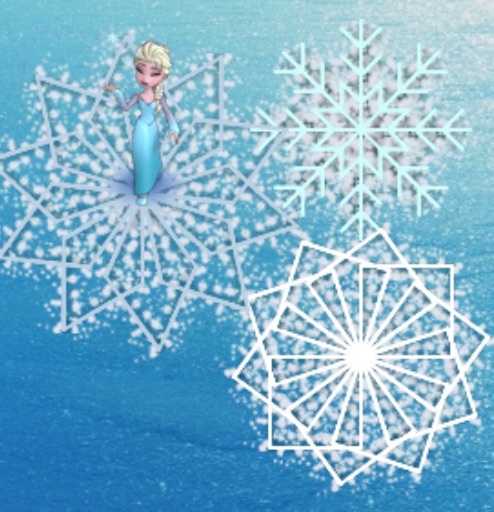 Start by having students cut snowflakes virtually, then with paper. 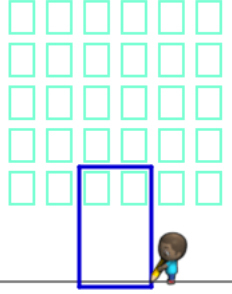 The Windows – Analyze attributes of 2D shapes. Practice counting to 100 with sets of 10. TEKS Example: 111.4 (b)(8)(A) Create 2D shapes based on given attributes. 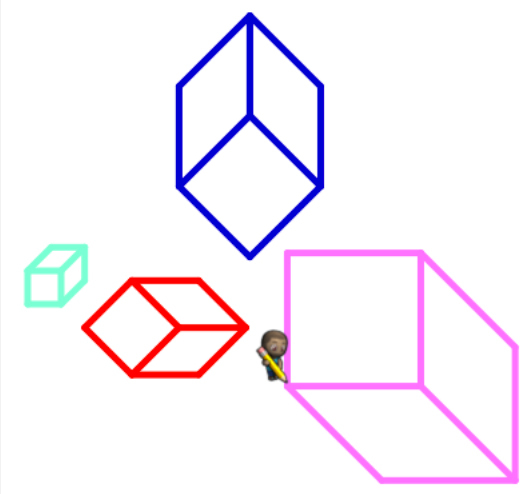 The Cubes Perspective – Describe the measurable attributes of 3D shapes. Make shapes with paper, toothpicks/marshmallows, design cities. Build a foundation of persistence.